Campaigning for breast cancer prevention began in the UK during the 1980’s – the period when the ever-rising number of women impacted by breast cancer, year on year, was beginning to gain greater media and public attention; when women were beginning to demand improvements to the standard and delivery of breast cancer care from the National Health Service (NHS) and when breast cancer advocacy and support organisations were proliferating across the country. In 1992, Janet Radford (formerly Williams) and Andy Radford started Communities Appeal for Respect for the Environment (CARE) in Cefn Mawr, Wrexham, Wales, and began campaigning after linking their children’s ill health with toxic fumes being spewed over their home and the surrounding community from a Monsanto Plant (renamed Flexsys). Janet went on to form WEN Wales. She organised a Welsh Toxic Tour in May 2003 with the Campaign for the Protection of Rural Wales (CPRW). 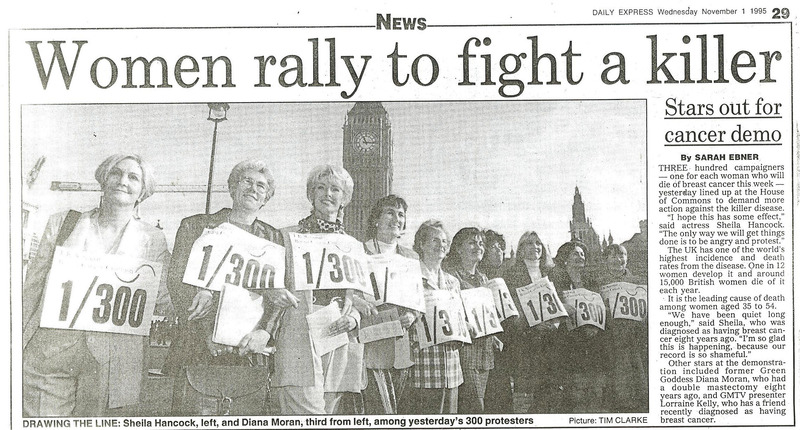 As early as 1994 the SBCC had petitioned 10 Downing Street (Prime Minister’s residence) with 150,000 signatures for better treatment of breast cancer. They followed this action with a ‘Pink Postcard’ campaign during which 500,000 pink postcards were distributed to concerned organisations and individuals who wished to ask the Government for more funding for the treatment of, and research into breast cancer. SBCC was also a member organisation of the UK Breast Cancer Coalition. In February 1995, following a discussion in the House of Commons, Member of Parliament (MP) Alice Mahon prepared a statement (for presentation to the House in the form of a ‘10 Minute Rule Bill’) to highlight the need for better treatment and care for women with breast cancer. A month later, and in support of Alice Mahon’s action, the Women’s Environmental Network (WEN) used the wording from her Bill to initiate a petition calling for a National Action Plan for Breast Cancer with added emphasis on ‘primary prevention’ of the disease in the UK. WEN delivered the petition, signed by 80,000 people, to the Department of Health on 31 October 1995. Despite its failure to attain any response from the Government, the petition was significant in demonstrating the widespread support for ‘primary prevention’ from women across the UK and for generating a foundational network for further action. Due to her maintaining contact with this network, petitioners were among the first to know from WEN Health Co-ordinator Helen Lynn of the breast cancer mapping project ‘Putting Breast Cancer on the Map’ which she was formulating as a follow-up to the petition in 1995. At one WEN petition meeting, petitioner Nancy Roberts, was so inspired by the American National Breast Cancer Coalition, that she proposed the idea of a similar coalition in the UK. The UK’s National Breast Cancer Coalition (NBCC) was duly established on July 6 1995 and launched on October 31 that year with elected Board members comprising individuals and representatives of five breast cancer organizations and different regions. The Coalition’s aims were improved access to the best treatment; research into causes, prevention and quality of life issues; and full and influential roles for women in decisions made on all breast cancer issues. With a membership base rapidly built from petition signatories, NBCC became the major organisation campaigning for better breast cancer treatment and care and for breast cancer prevention in the UK. In the same period a special Coalition Research Sub-Committee headed by Heather Goodare was set up to process current research and thinking on breast cancer. The Coalition dissolved the sub-committee in 1999 but later that year Heather along with Clare Dimmer, Ann Johnson and Helen Lynn founded BREAST UK which was listed as a registered charity in 2001 and renamed Breast Cancer UK (BCUK) in 2006. The NBCC continued until November 2003 when it merged with Breakthrough Breast Cancer to form the Cancer Action Network (CAN). Community activists Maureen Dennis and Yvonne Kershaw began campaigning on the links between breast cancer and Lindane in the 1990’s. In 2001 they organised the Lincolnshire Against Cancer (LAC) mapping and questionnaire project to identify local sources of carcinogens and cancer clusters in Lincolnshire. Begun in 1994 by Jill Day, *UNISON’s Regional Women’s Officer (East Midlands) and Co-ordinator of Unison’s national campaign to ban the production and use of the pesticide Lindane. * Unison is Britain’s biggest trade union with members in public sectors and essential utilities. The campaign was organised by a group comprising Pesticide Action Network, Friends of the Earth, Unison, Soil Association, Women’s Environmental Network, Green Network, and later in the campaign Breast UK, along with independent campaigners, Deborah Burton, Diana Ward and Clare Dimmer. The campaign highlighted the dangers of Lindane usage, both in products used in agriculture and in the home. During the years before the ban was implemented the campaign challenged retailers in the UK to remove all products containing Lindane from their shelves. The group’s special-focus campaign on the use of Lindane on cocoa crops caused major chocolate manufacturers to admit to the presence of Lindane residues in their products and to cooperate in working to remove all traces of Lindane from their products. Lindane was finally banned from agricultural use in Europe in 2001. Although the Lindane ban was set to come into force in Europe in 2002, its use on crops continued outside of Europe. For more on Ban Lindane Campaign see FoE press release . 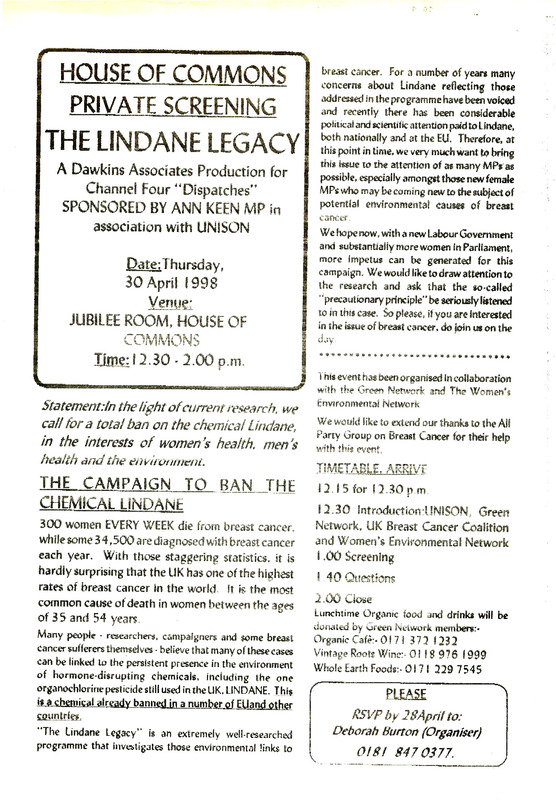 In April 1998 UNISON, WEN, Green Network, the UK Breast Cancer Coalition and the All Party Parliamentary Group on Breast Cancer supported a showing of The Lindane Legacy documentary film produced by Dawkins Associates for TV Channel 4’s Dispatches programme. The event was organised by Deborah Burton and called for a total ban on the use of the pesticide Lindane because of its adverse effects on health. 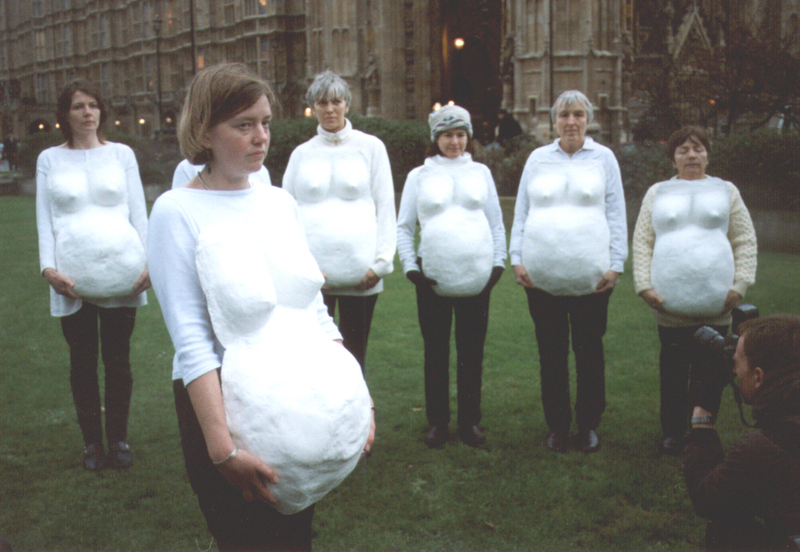 In January 2002, the Ban Lindane Campaign and WEN held a Breasts and Bellies demonstration outside the Houses of Parliament in London, while members of the campaign group addressed their concerns to members of the All Party Group on Breast Cancer inside the building. The demonstration was held to raise public awareness about the impact on human health and the health of future generations from the widespread use of synthetic chemicals and pesticides. The demonstration highlighted how decisions on pesticides and chemicals which can affect our health are made behind the closed doors of government and called for precautionary action to reduce these risks. WEN continued to collaborate with Unison in organising workshops, conferences and other events with a focus on breast cancer. This work was initiated by Jill Day and promoted through Unison’s National Women’s Committee. to remove ingredients linked to breast cancer from their products, and questioning their support of the corporate-driven ‘Pink Ribbon Campaign’ (which promised a percentage of sales for research) while producing and selling products containing carcinogens and EDCs. 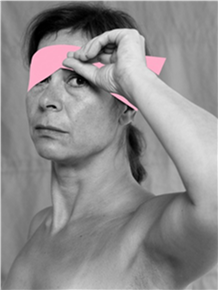 In 2005 their campaign, The BigSee leaflet urged women to lift their pink ribbon blindfolds and truly see the ‘pinkwashing’ around breast cancer. In 2006 Unison called on its members to carry out a Toxic Tour of their bathroom cabinets using a guide produced by WEN. Ahead by only a matter of months of the ‘World Conference on Breast Cancer’, (organised by Janet Collins and the Women’s Environment and Development Organisation (WEDO) July 1997, Kingston, Canada), The World Conference on Breast Cancer Advocacy (organised by the US National Breast Cancer Coalition Fund) held in Brussels from 13-16 March 1997, was the first to bring breast cancer activists together from around the globe. Aside from their concerns about the impact of the disease in their home countries, some participants were keen to share their knowledge about environmental links to breast cancer. Upon learning that this topic was unacceptable to conference organisers, UK participants Diana Ward and Helen Lynn moved to set up meetings, between conference sessions, with the women who were interested in exchanging ideas for raising public awareness about the significance of environmental toxins for diseases like breast cancer. By conference end they had agreed a set of aims and objectives as the newly formed direct action group – Free Radicals. Following a meeting of UK Free Radicals at Bristol in October 1997, members began writing letters to MPs, attending conferences and parliamentary presentations, and organizing a number of demonstrations. Members called upon responsible government sectors e.g. Health and Safety Executive (HSE) and Department of Health (DOH), to take appropriate steps to reduce public exposures to chemical compounds with proven or suspected links to breast cancer. Free Radicals outside Ministry for Agriculture, Fisheries and Food in York. 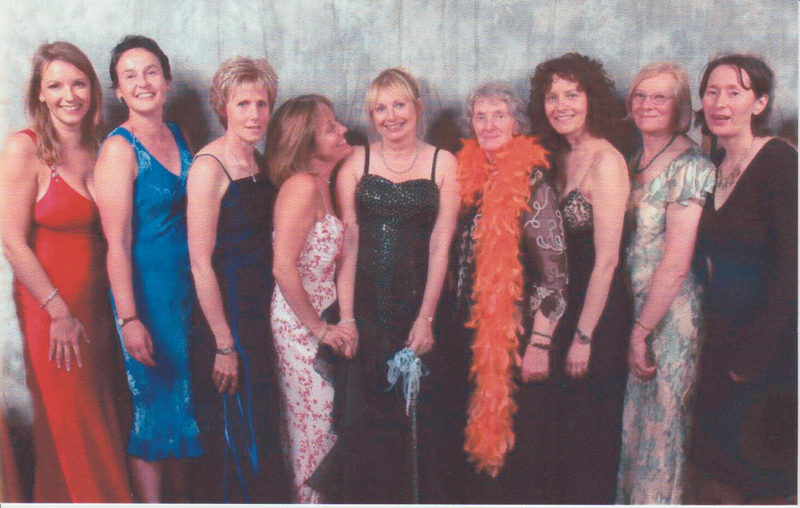 Pictured are – Audrey Scott, Di Ward, Helen Lynn, Clare Dimmer and Laura Potts. On March 7 1999, a poster-bearing crowd of women, some wearing tied-on latex breasts, stopped at key government ministry sites to deliver spoken and poster messages calling for government action to reduce our unavoidable exposures to chemicals linked to breast cancer incidence. Final stops were made at No 10 Downing Street to hand-deliver an IWD greeting card bearing the same message to then Prime Minister Tony Blair, and at the statue of Emmeline Pankhurst in Victoria Gardens to hear messages from sister organisations around the globe, which were left attached to the statue. The major lottery-funded two-year project, ‘Putting Breast Cancer on the Map’, initiated and devised by WEN Health Coordinator Helen Lynn, was launched in October 1997. With a number of Free Radicals volunteering support roles to the project team and forming part of the project’s steering group, this ambitious and groundbreaking project set out to record and analyse women’s views on causal factors in their own breast cancer via questionnaires, workshops and personal explanatory maps. It was through the process of mapping their local, lived and working environments that women made connections between local sources of pollution, and cases of breast cancer. Though generally unreceptive and few in number, media and medical reactions to the final project report highlighting breast cancer hotspots throughout the UK did serve to further the awareness- raising goals of a project which broke new ground in validating women’s experience of a rampant, preventable disease. The culminating project event (organised by Helen Lynn and volunteer (Fionola O’Driscoll) was the forum Stopping Breast Cancer Before it Starts held on 13 November 2000, at the House of Commons, Westminster. Its purpose – to bring project participants together with professionals and policy makers working in different fields relevant to breast cancer, to seek common ground towards promoting inclusion and collaboration among those working on breast cancer in the UK with a view to gaining a place for primary prevention on the national breast cancer agenda. A national strategy for the primary prevention of breast cancer. Separate funding for the primary prevention of breast cancer. Greatly encouraged by the success of the Forum, and after revising their aims and objectives to focus more directly on strategies to gain a rightful place for primary prevention on the national breast cancer agenda, Free Radicals reformed in 2001 as the ‘UK Working Group on Primary Prevention of Breast Cancer’ (UKWGPPBC). The Working Group drew interest and involvement from women who were variously engaged in raising public and political awareness of breast cancer as a preventable, environmental disease. Judy Adams Mapping Project participant from Cumbria. Deborah Burton Experienced campaigner who organised a House of Commons screening in 1998, for the new Labour Party intake of female MPs, of the ground breaking TV Channel 4 documentary ‘The Lindane Legacy’ produced by Ray and Hilary Dawkins and supported by Unison. Vera Chaney Free Radical and President of The Green Network based in Colchester, Essex. Alison Craig Action on Pesticide Exposure Project Coordinator (PEX) with Pesticides Action Network (PAN) UK. Jill Day Regional Women’s Officer for Unison serving the UK’s East Midlands Region, who picked up on the Lindane issue raised in the documentary film ‘The Lindane Legacy’. TheBan Lindane Campaign she began was to succeed in its goal. Clare Dimmer Breast cancer activist. Founder member and Secretary of BREAST UK , Free Radical and member of WEN and Mapping Project Steering Group. Dianne Dowling Mapping Project participant from Devon, award winning professional photographer and Secretary to BCUK from 2007 to 2012. Mary Jenkins Free Radical and Mapping Project participant from Newcastle. Dr Morag Parnell Mb, ChB Co-founded the Women’s Environmental Network Scotland (WENS) in 2004and took the campaign for the primary prevention of breast cancer (and other diseases) to Members of the Scottish Parliament (MSPs) as well as to the general community. Laura Potts Reader in Public Health & Environment, York St. John University, author (BC titles). Free radical and member of Mapping Project Steering Group. Janet Radford (formerly Williams) WEN member and environmental activist in Wales who formed WEN Wales, gathered maps for the Breast Cancer Mapping Project and organised workshops on the issue across Wales and the UK. Audrey Scott Free Radical from Essex who sadly died from breast cancer before the working group evolved. Gwynne Wallis WEN member and local WEN group coordinator for Totton (Hampshire), who built an informed local community network of campaign supporters which included medical practitioners and politicians. Collaborating with other organisations (PAN, Unison, Green Network) to ensure that expert scientific opinion was heard although not necessarily heeded, by MPs at regular meetings of the All Party Parliamentary Group on Cancer. Calling for an Adjourment debate in the House of Commons. Debate questions drafted by the Working Group asked about spending on breast cancer, the government’s understanding of the term ‘primary prevention’, savings on prevention work in relation to smoking cessation, obesity, environmental pollutants, and National Health Service (NHS) expenditure on environmental and occupational exposures in relation to cancer. Collaborating as members of the Ban Lindane Group to achieve success in the withdrawal of this pesticide from the European market in late 2001. Lending their support to numerous campaigns calling for a reduction in production and use of toxins and pollutants affecting environment and health. ‘You are that group but before you can proceed you need to produce a solid piece of work’. ‘Breast Cancer: An Environmental Disease – the case for primary prevention’ more commonly referred to since as ‘the orange doc’. Orange doc meeting with Helen Lynn, Clare Dimmer, Alison Craig and Deborah Burton. NMBC meeting at the Festival Hall, London pictured are Di Ward, Alison Craig, Clare Dimmer, Deborah Bruton and Gwynne Wallis. a general reference document for anyone concerned about disease prevention. challenge the government to prioritise the primary prevention of breast cancer. In casting about for an organizational solution to meet legal requirements for the raising and management of funds towards report publication and campaign development, the Working Group decided to take over the failing charity Breast UK, following the agreement of its remaining trustees. BCUK served to fulfill its role, from 2006-2012, as the official administrative base underpinning the Working Group’s No More Breast Cancer campaign, while retaining its separate identity, funds and website, as distinct from those of the campaign. Since dispersal of Working Group members and trustees through 2007-2008, BCUK has continued, under Chair Clare Dimmer, as one of the European organisations which has successfully campaigned to ban the endocrine-disrupting chemical BPA from baby bottles. The report received a full ‘bells and whistles’ media launch across Europe and UK on 21 September 2005, and went live on the working group website on the same day. Given the intense competition for media attention in and beyond the capital, there was an unexpectedly quick pick-up from major media organisations on the day. Women’s Environmental Network Scotland (WENS) presented the orange document at the Scottish Parliament with every possible help from the staff to ensure that all the MSPs saw the document on their way to chambers. The WENS representative Dr Morag Parnell lodged a WENS petition with the Public Petitions Committee on October 30 2007, calling on the Scottish Parliament to urge the Scottish Government to investigate any links between exposure to hazardous toxins in the environment and in the workplace and the rising incidence of cancers and other chronic illnesses. On the same day they met with a number of MEPs representing UK constituencies who had declared an interest in the report. 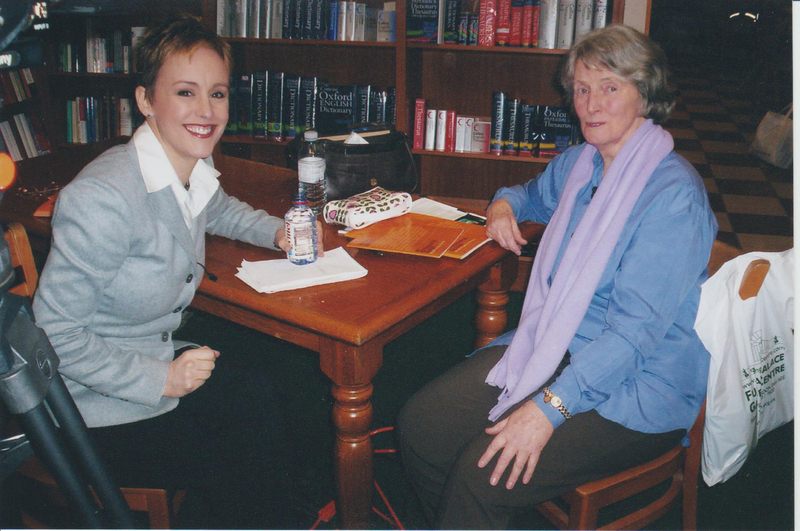 In February 2006 a CBC TV team came to London where Wendy interviewed Diana Ward for a special consumer affairs programme fronted by Wendy and aired in Canada the following week. Di Ward being interviewed by Wendy Mesley for the CBC programme. In the months prior to report publication, five members of the editorial group morphed into the Campaign Steering Group (CSG). 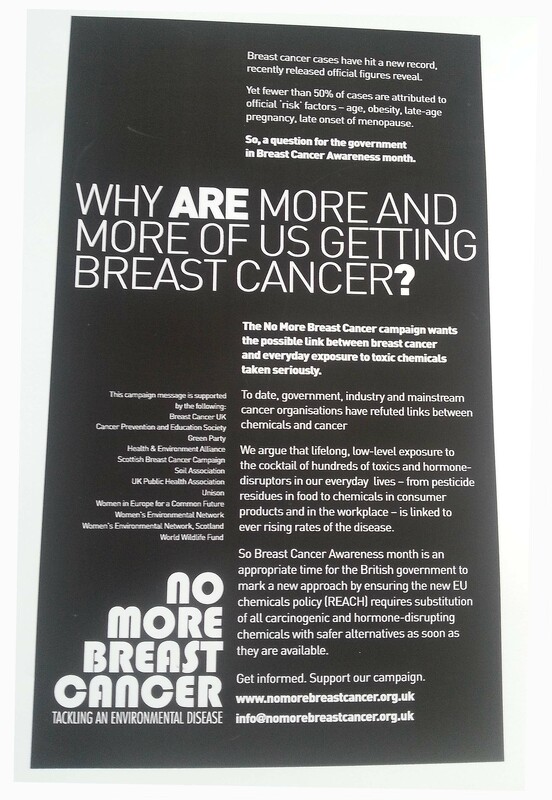 At a planning meeting of the CSG on 6 December 2005 the campaign title ‘No More Breast Cancer’ was finally agreed. It was only after an intense period of fundraising for campaign development, that campaign logo design and building of a campaign website could begin. The campaign website was launched on 18 May 2006. In support of the No More Breast Cancer Campaign a fundraising Ball at Ickworth House Suffolk was organised by friends Rhona Damont and Laini White. Rhona was determined to break new ground by shifting the standard fundraising focus to prevention of the disease which she herself was then experiencing at its terminal stage. This very successful event in mid-2006 provided essential funds to fully launch the campaign. Ickworth Charity ball pictured are Andrea MacNamara, Alison Craig, Clare Dimmer, Laini White, Rhona Damont, Di Ward, Sam Wright, Gwynne Wallis and Deborah Burton. In this same period CSG members produced flyers, cards and leaflets for distribution via supporter networks, as well as at conferences and meetings they attended, organised or addressed. By January 2007 the CSG had built up a strong cohort of pre and post-launch campaign partners and support organisations. Unison – UK’s major public service trade union and co-funder of report print and publication. Health and Environment Alliance – (HEAL) Europe – Co-funder of report print and publication. The Co-operative Bank – A major UK financial institution and co-funder of report print and publication. Challenge Breast Cancer Scotland – formerly Scottish Breast Cancer Campaign – Co-funder of report print and publication. Scotland’s premier organisation supporting women with breast cancer while promoting a prevention agenda. See Saw – A small music-industry company whose owner gave generously to report print and publication costs. Women’s Environmental Network Scotland (WEN Scotland) – Together with Challenge Breast Cancer, WEN in Scotland continues to gain public and political exposure for the main campaign messages. European partners in funding and promoting the campaign were instrumental in inviting CSG representative Diana Ward to join the platform of speakers at the ARTAC (Association for Research and Treatment Against Cancer) Conference ‘Environment and Sustainable Health: An International Assessment’ where the “Paris Appeal Memorandum” collated unified scientific recommendations for the prevention of cancers, birth defects, brain development disorders and infertility. The conference was held at the UNESCO Centre in Paris on 9 November 2006. The No More Breast Cancer Campaign presentation was entitled : Grass Roots Citizen Demands and Actions. to invite individuals and organisations from everywhere to join with them in a collaborative drive for the primary prevention of breast cancer. Note: The above is not a comprehensive history of all the activism on breast cancer prevention that was happening in the UK throughout the period covered but it includes all those we were working with or were aware of at the time. We apologise to anyone or any organisation we may have inadvertently overlooked.